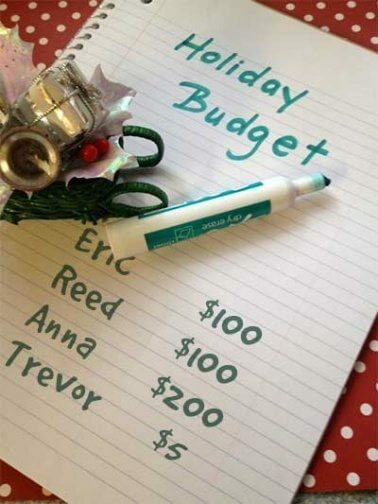 Setting a Budget Now Could Make For A Rewarding Holiday Season! I t’s that time of year again! You know… the time for giving gifts, hosting holiday parties, entertaining friends and family. For many people this leads to overspending and financial stress. But for you it could mean a more affordable and less stressful season if you start now by setting a realistic holiday budget and making sure to stick to it throughout the holiday season. The best way to start making a budget is to take a look at what you spent last year during this time. If you didn’t save your receipts or don’t have that information on hand, you’ll be okay, but it would be wise to begin tracking that this year so you can make a better game plan in the years to come. What areas did I spend more on last year than I had planned? Are there any purchases I would have done differently if I could go back in time? Was there anything I bought that went to waste or wasn’t necessary? Continue on by making a list of the holiday purchases and events you plan to spend money on this year. Consider all major items including gifts, meals, travel, entertainment, etc. and then estimate how much you can afford to spend in each category. What usually helps me is setting spending limits for each person I plan to buy a gift(s) for. I also like to consider taking advantage of sales and coupons to get the best deals on the items I plan to buy (which works for gifts or food, etc.). I have a huge knack for homemade gifts too, which saves money and increases the value of the gift, in my opinion! Receipts add up quick, so have a game plan before heading out to do any holiday shopping this year! Setting realistic goals for your budget ahead of time helps make sure you don’t spend money you don’t have or don’t spend more than you feel comfortable with. Each of us has different ideas on what an appropriate holiday budget is, but many financial advisors say to not spend more than 1.5% of your annual income on holiday expenses. I think all too often people aren’t considering what they spent in previous years, what went to waste, and how they could do things differently and so they are making the same mistakes year after year. I also believe that some people get caught up in the material aspects of the holidays and become less appreciative of the gift of time spent with loved ones. Try to remember that the holidays are about love, gratitude, and appreciation, not the latest iPhone or smart TV. It’s okay to not spend your entire paycheck on a material item someone in your life has a desire for. If you spend within your means, you’ll have more to spend later on other things that also matter to you and your family (like more time spent together at the movies, dinner dates, vacations, etc). At the end of the day, your budget is your very own and it is whatever you make of it. 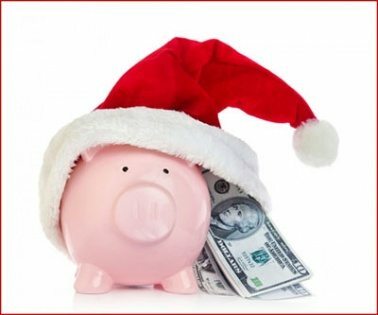 Now go make a budget, get out there, and have a stress-free, fun, and safe holiday season!